The Webalizer FTP interface displays your domain name’s FTP statistics – information about who has visited your website using the FTP protocol. Under Metrics select Webalizer FTP. On the Webalizer FTP interface, click on the link to view Webalizer FTP stats for your domain name. To view detailed statistics for a month, click that month’s link. 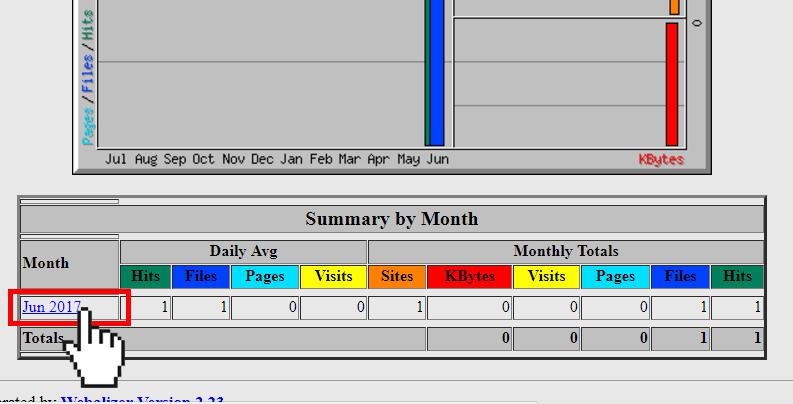 This will open the detailed monthly FTP statistics interface.